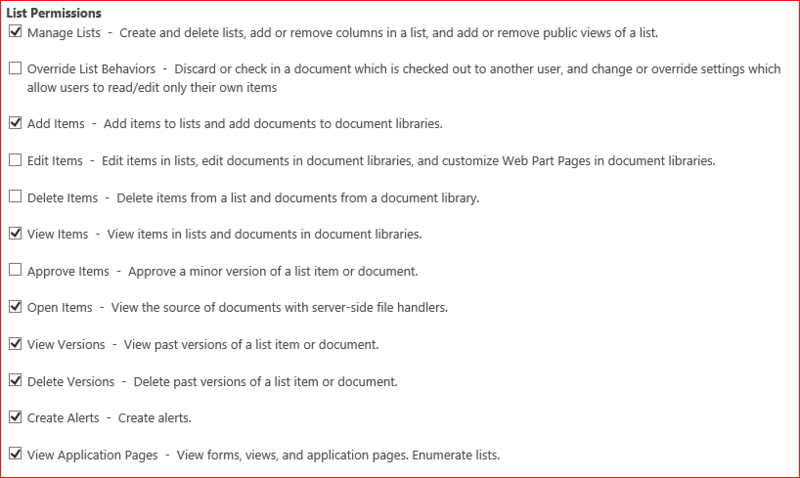 How do I create Upload only permission in SharePoint Online? I would like to know how I can create upload only permission level so users are only able to upload documents. below Users and Permission > Click on Site Permission. From the above ribbon, > click on permission level to be able to create a new permission level. Create a new permission level named Uploaders and check the permissions Open, Add Items, View Items and View Pages. Then grant the permission level to the users and groups who should be able to upload documents but not edit and delete them. Not the answer you're looking for? Browse other questions tagged sharepoint-online permissions team-sites or ask your own question. How can I create an upload-only folder in a document library? 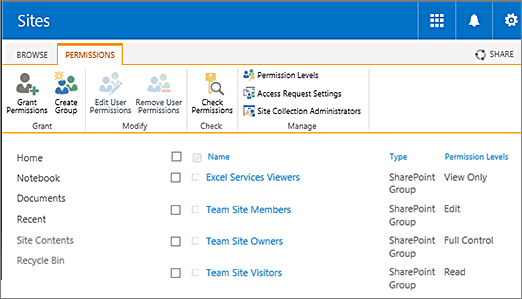 What is the difference between “Permission Policy” and “Permission Level” in SharePoint?